Cedar decking boards are a hardwaring and durable alternative to normal softwood treated decking and has the advantage of looking great too due to the natural colour variations of the cedar from dark browns through to lighter browns, pinks and yellows. 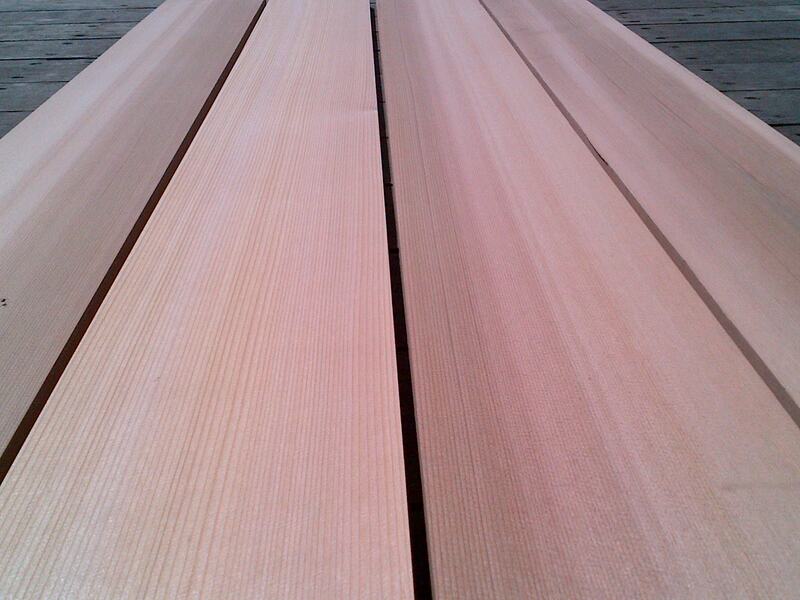 Western red cedar from Canada grows slowly and therefore has many of the characteristics of a hardwood timber. As an alternative we are also able to offer decking out of Siberian Larch, again another slow grown softwood timber that has a much lighter colouring than cedar. Other species of timber, such as Cumaru, could be used and are available on request. As both cedar and larch arrive in random lengths, the lengths we are able to offer will depend on availability ranging from 1.8 metres to 5.4 metres in cedar and 3.0 metres to 5.7 metres in larch. Please call us on 01472 350151 for a quotation or if you would like any further information on cedar or larch decking.